Alyssa Dunn, an 8th grader at Crone Middle School in Naperville and competitive ice skater, became the ultimate cheerleader at the 2015 Special Olympics Illinois Skating Championships in Romeoville on Feb. 18 and 19. Alyssa, who loves everything about skating, trains more than 40 hours a week on the ice and this year she even competed internationally. She loves the bonds and friendships formed at the skating rink, saying her fellow skaters have become her family, and she has a deep appreciation and respect for those who share her passion. “It is a tough sport, one that looks effortless but teaches the simple lesson no matter how hard you fall you get back up,” Alyssa’s mother, Keri, says. A year ago, Alyssa learned that the Skating Championships would be held at the rink she frequented and instantly became involved—she wanted each Special Olympics Illinois athlete to know they had an entire community supporting them. 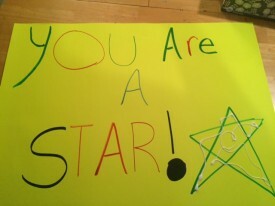 She made encouraging posters for the athletes and posted them around the rink. This year, she expanded her efforts. 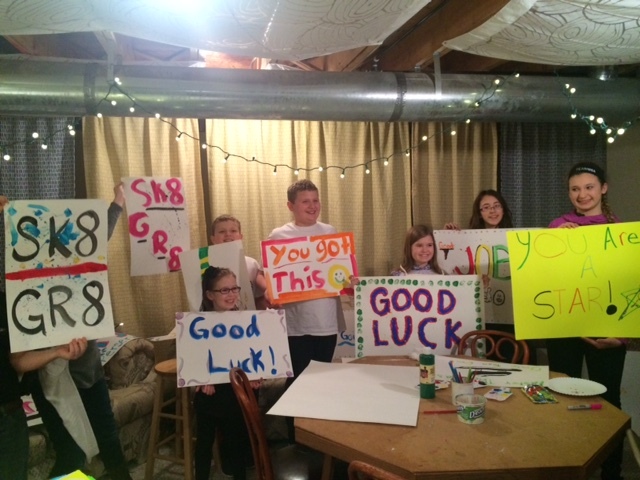 She implored friends, fellow Girl Scouts, swim team members and classrooms of students to come out for a special night at a local art studio. The group designed nearly a hundred posters. Many of the athletes took these signs home when competition was over. 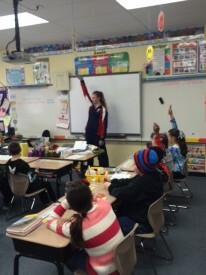 After the competition, Alyssa was so impressed by the athletes, she shared the accomplishments of the Special Olympics athletes to classrooms at Peterson Elementary and urged them to remember how important it is to support their peers. Her initiative has been inspiring to her little brothers who now are looking to get involved with Special Olympics aquatics. 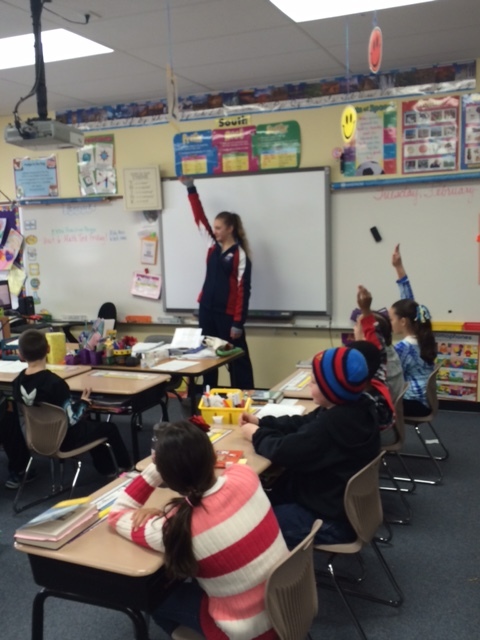 Special Olympics Illinois wishes to thank Alyssa for her great support.